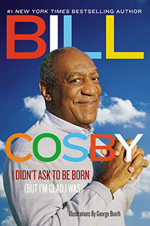 Comedy legend Bill Cosby recently made an appearance at the Barnes & Noble at Rowan University bookstore to sign copies of his latest book, I Didn’t Ask to Be Born, (but I’m Glad I Was). The Philadelphia native was in Glassboro, N.J. as the guest speaker for Rowan University’s 26th Annual Martin Luther King Jr. Scholarship Breakfast earlier that morning. 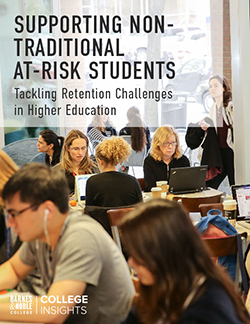 Sponsored by the Rowan University Foundation to honor Dr. King’s achievements and legacy, the event benefits the William H. Myers Scholarship Endowment Fund, which provides financial support for high-achieving minority students. Later that day, America’s favorite funnyman, wearing a gold and brown Rowan sweatshirt emblazoned with the words “Hello Friend,” signed copies of his latest book. The shirt was a tribute to the Hello Friend/Ennis William Cosby Foundation that he and his wife Camille established in memory of their late son. Cosby’s book, according to the publisher, is a spot-on “hilarious new collection of observations that brings us more of his wonderful and wacky insights into the human condition that are sure to become a classic.” The book signing attracted almost 400 fans who waited patiently in line to meet Cosby and get an autographed copy of his book. Best known as the lovable Dr. Huxtable from the defining 1980s sitcom, “The Cosby Show,” Cosby’s successful career spans five decades in virtually all media. The comedian, actor, producer, author, educator, musician, and activist has done it all. Cosby, who holds a doctorate in education from the University of Massachusetts, has received more than a dozen honorary degrees from American colleges and universities. In 2002, he received the prestigious Presidential Medal of Freedom and, in 2009, he accepted the 12th annual Mark Twain Prize for American Humor. 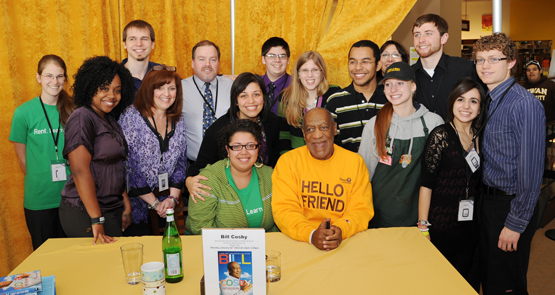 A philanthropist, Cosby generously supports educational, social service and civil rights organizations.